Our good friends, and purveyors of some of Birmingham’s most adventurous parties, Under the Counter are bringing the awesome Africa Hitech (aka Mark Pritchard & Steve Spacek) of Warp Records to the Hare & Hounds this Saturday (21st July). They’ve been nice enough to give us a pair of tickets to give away to y’all. Sweet! 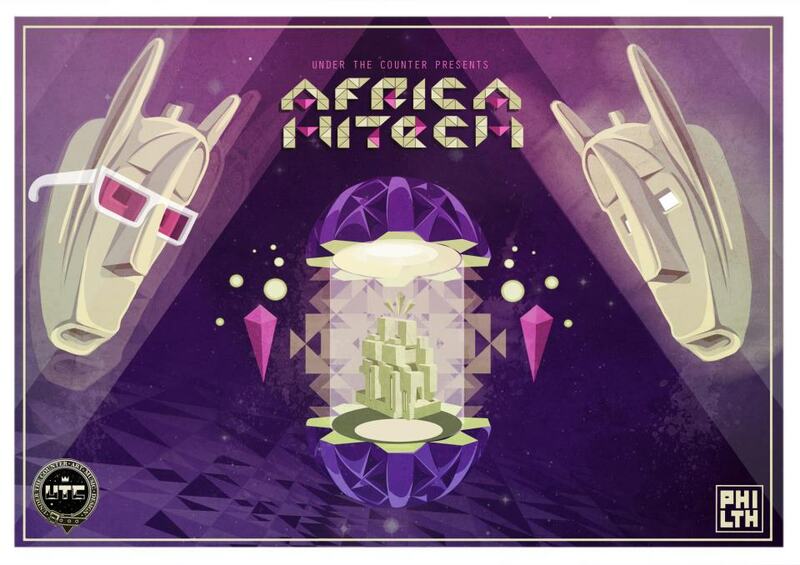 Not only will Africa Hitech be doing a two hour set(! ), but UTC are once again teaming up with Blend Visuals to produce a 3D mapping spectacular of visuals to melt your mind, that has got us seriously hyped! Q. What is Steve Spacek’s real name? Answers in an email to raya [at] itsfantasticdamage.com by 5pm on Friday 20th July. Good luck! Otherwise, tickets available in advance from TheTicketSellers.